My opinion is not to bother - all that they seem to do (on a singlespeed) is collect crap between the bash and the chainring, which is a pain to clean out. The chain does a pretty good job of protecting the chainring during log crossings etc, so I don't see any need for a bashring. 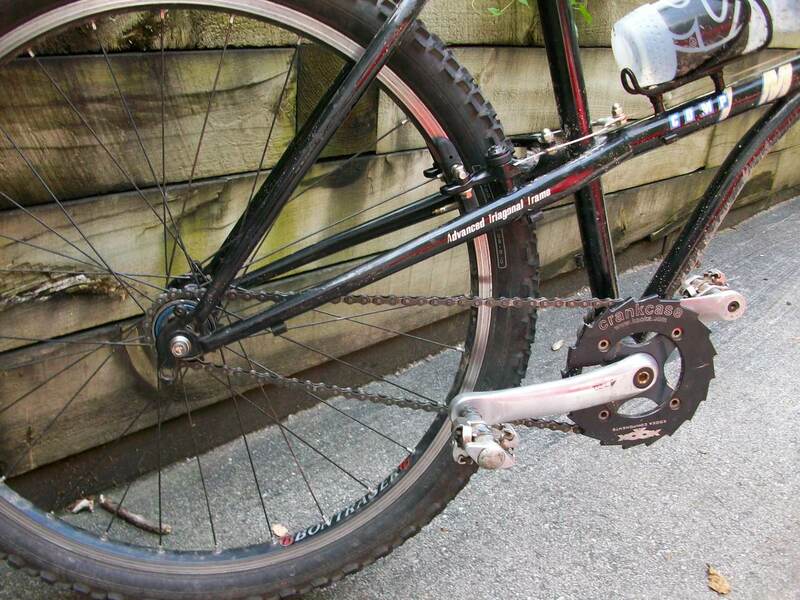 - Strength: some have managed to bend the spider and chainring with Shimano 4 bolt cranks. The bash should add some strength there, just like a big ring. - Chainring bolts: I can use regular ones, not shorter. I suppose it is not really necessary for log crossings and such. Not sure if rock contact is worse for the chain than tree contact. 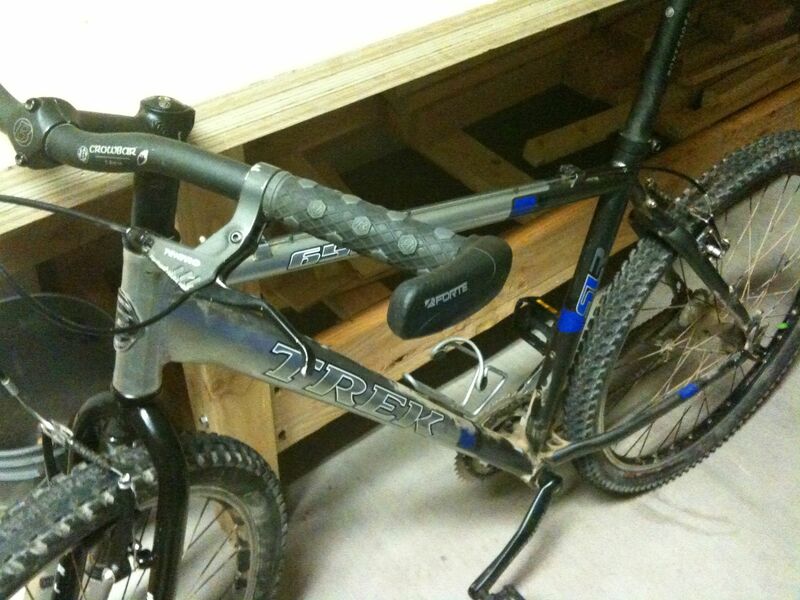 Nope, Modded XTR cranks that are now SS specific! Just hop higher and you won't need one! ^^^^I see WI freewheel!!!!! Along with an odd frame design. Does that baby flex? I put the FSA bashguard back on my crank. I was tired of seeing a grease tatoo on my right calf from accidentally rubbing against the chain/sprocket. it does like a steel frame would. but the chain stays in place. The only time I've used them was setting up my friends with 1x? combos. On ss I'd have to get over something at the very upper crust of my skill range before I brush anything. A bashguard would be a purely aesthetic addition to my bike. I run one. I wasn't really to sure if I needed one at first, but the more I ride (and hit $hit with my bashring) I'm glad I have one. Hah, I had to chime in here and say that I use my original big gear as a bash guard. Works pretty well and I didn't have any short bolts to just have the middle gear attached. Did you grind off the teeth? No, its pretty much just waiting to cut my leg open. A large chainring is nothing to fear. But a bashguard with teeth... that's a whole 'nuther animal. my bash guard is getting hammered on my stylo 1.1, glad i have it else, chain would be all kinds of jacked. There she is, I have ridden the bike a few times and haven't noticed it. I guess I should order a bash guard or get some smaller bolts. nanoage: looks like you've got a bash guard there, aka the outside ring, unless you care about it heh. I think I'll need bashguard since my SS looks silly with 22x16. Well atleast I need sumthing to cover the empty chainring place and definitely not put the chainring there. Semantic nit picking: 'Bash ring' mounts to the crank, 'bash guard' mounts to the frame. I've been using bashrings on nearly all my mtb's since the early nineties, when I ran a Girvin Rock Ring that was designed to cover up to 48t. Back in the beginning it was more about protecting the big ring from getting bent and broken on east coast rocks that I accidentally hit. By the mid to late nineties I was riding trials on all my bikes, so it was to protect the granny or middle from getting bent and broken on east coast rocks that I intentionally hit. I still run them because I still like to stop and play around on obstacles while out riding. I am planning to buy the real one which is about 10$ while I bought the crankset for 20$ which is kinda too expensive for just a 'cover' not a guard for my 22T chainring. there's just so much bash that it needs to be guarded.